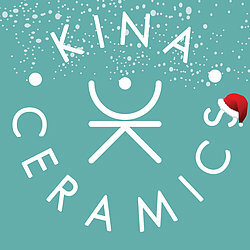 Kina Gorska is founder and ceramic designer-maker in Kina Ceramics studio. 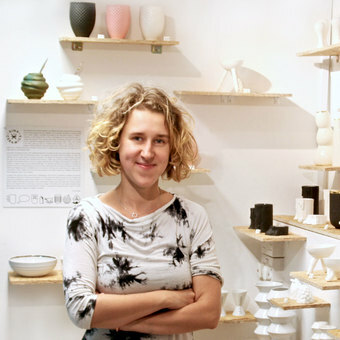 Adventure with ceramics started in her childhood but it matured during studies when she discovered porcelain. 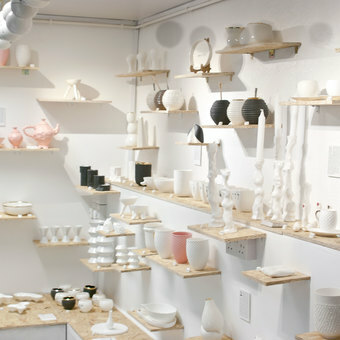 Graduated from Academy of Art and Design and specialising in Ceramic Design, she decided to follow her passion and went straight on to set up her first ceramic studio. Moved later to UK and she continues her creative work in her new studio in the centre of Oxford. Kina preserves traditional method of producing porcelain by adopting factory production process of slip casting to fit her small scale studio. 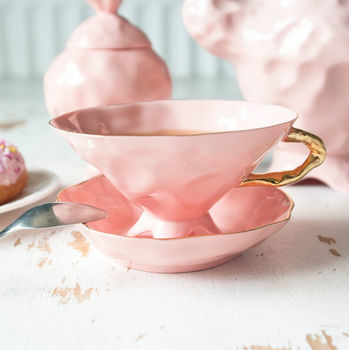 She makes beautiful ceramics of fine bone china and decorates them with genuine gold or platinum. Her designs are characterised by visually pleasing shapes, often inspired by natural processes. Mugs with Fingers and Spikes, Melting Candle Holders, Paperthin Tea Sets, Speech Bubble Plates or Zig Zag vases are only a few from wide range of designs showing her true artistry. Her luxury and affordable products are exclusive addition to home interiors. All products are handmade of fine English bone china and stoneware sourced from historic Stoke on Trent. Bone china is very challenging material to work with but it rewards with elegance, high level of whiteness and translucency. Kina uses her sketches to develop ideas that she models later into prototypes. 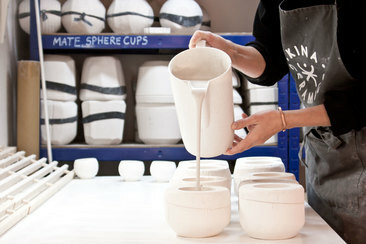 When products are slipcased they go through bisque and glaze firings. Before the final firing, products are decorated with transfers or hand painted with genuine gold or platinum. Your orders will be shipped with 1-3 working days.